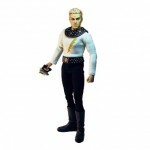 Entertainment Earth has a pre-order up for the Alex Ross Flash Gordon Movie 7-Inch Figures Series 2 Set. Flash! Savior of the Universe! As a hero of the ages, Flash Gordon has rescued the Earth in cartoons, films, and comic strips. Today, he’s saving the world as an action figure designed by Alex Ross! 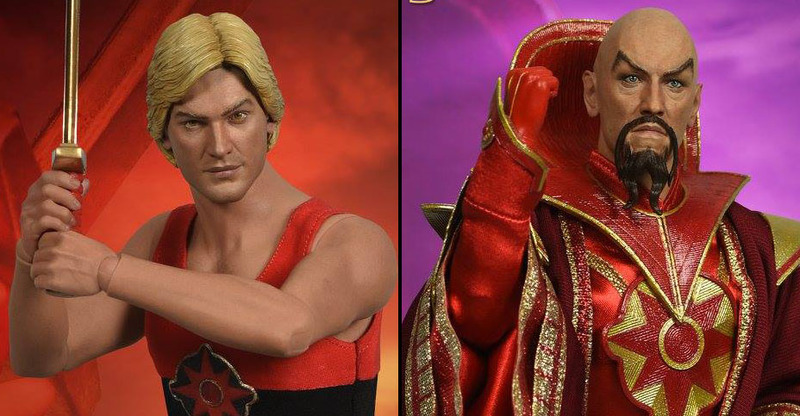 The Flash Gordon Movie 7-Inch Action Figures feature the industry’s finest sculptors combined with the amazing designs of Alex Ross to create collectibles that are truly out of this world. Each figure includes special accessories and a sense of hyper-realism that will rocket these action figures into the stratosphere! The figures are scheduled to ship in June 2009. You can pre-order the figures Here. 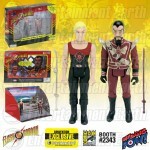 Go Hero Shop has put up a pre-order for their upcoming Flash Gordon figure. The figure is based on Larry “Buster” Crabbe’s portrayal of the classic character. In 1936 floating cities, rocket ships, and hawk men exploded off the screen in the greatest movie serials of all time! Starring Larry “Buster” Crabbe as the heroic earthman, Flash Gordon became the film standard of space adventures for children and adults the world over! Having the honor of being the only serial to receive top billing on movie theater marquees, the Flash Gordon serials changed the genre of science fiction forever. Audiences continue to be dazzled by the iconic imagery that remains influential to this day! COMING SOON FROM GO HERO…for the first time in 1:6 scale figure format, Larry “Buster” Crabbe as Flash Gordon. Explore the strange world of Mongo! Protect the beautiful Dale Arden! Save the Earth from the evil death ray of Ming the Merciless! See the pre-order Here. Click the headline of the story for a full gallery of the figure.